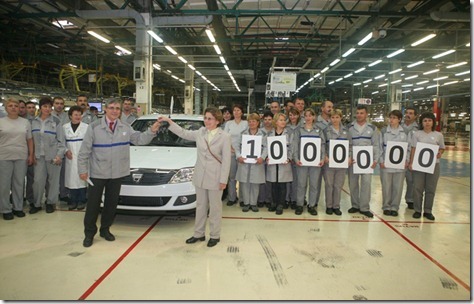 Dacia has produced one million copies of the Logan model at its factory in Pitesti. The anniversary unit is a Logan sedan, white, powered by a Euro 5 engine of 1.2 liters and 75 HP, which was delivered to a customer in Romania. 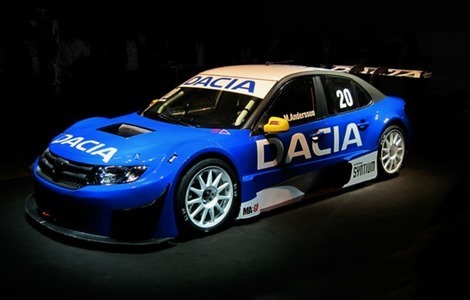 The anniversary unit comes six years after Dacia Logan was launched in Romania, during which the Logan was gradually offered in four different body versions. 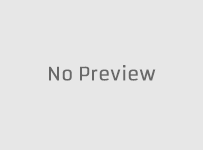 These are sedan, MCV, Van and Pick-Up. The Dacia Logan offered gradually six tips of engines, four of which are on petrol: the 1.2 liter engine with 16 valves, the 1.4 MPI engine, the 1.6 MPI engine and the 1.6 engine with 16 valves. The diesel engine range has two units: the 1.5 liter dCi engine with 70 and 85 HP.The Logan first diesel engine offered only 65 HP. Dacia offers also two versions of the Logan on LPG, a system designed to reduce the fuel costs and the CO2 emissions. 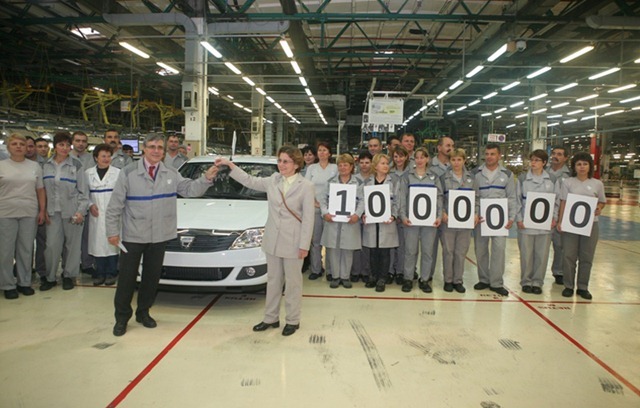 Until 12 October 2010, the most popular version of the Dacia Logan remains the sedan produced in 636,212 units. In second place comes the favorite of the Europeans, the Logan MCV and in third comes the Logan Van with only 32,324 units. The least popular member of the Logan family is the Pick-Up model produced in just 19,326 units.